Use your social media sites to grow your list of potential clients. 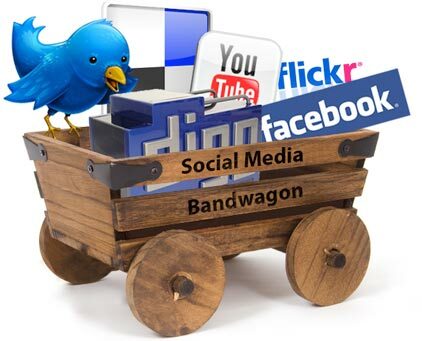 Jump on the Social Media bandwagon to reach out to your friends. You never know when you will make it into a business deal. Review your friends and contacts on Facebook, Twitter, and Linked In. There are many people that you are connected to that you may have only met a handful of times or you only know them through someone else. Challenge yourself to reach out to a handful of new people each week using your social media sites and offer to buy them coffee. You never know when you can convert your existing contacts into a client or friend. Also, by doing this you are spreading the word of what you do and are growing your network. See how easy it is to search for local eats where ever you are. This week’s App is Urbanspoon through iTunes. You may have heard of the website urbanspoon.com. Well this app is the portable version of the site where you can view all local and chain restaurants in your area. If you don’t know what you are in the mood for at that moment, you can also shake your smartphone or tablet device and a random restaurant will be selected. If you are not satisfied with the first selection, keep shaking until you find something that clicks. You can search for restaurants by neighborhood, type of food served, and price range. This app can be used to find restaurants not only in the USA but also in Canada, the United Kingdom, and Australia. If you would like to find out more about this app or to download it to your smartphone/tablet, visit http://www.urbanspoon.com/. ← Traveling to Boston, MA or Surrounding Areas Soon? You Simply Must Take a Look at These Exceptionally Beautiful Fully Furnished Rentals! I use the Urbanspoon app all the time. The spinner is sort of silly, but the “find near me” feature is great.